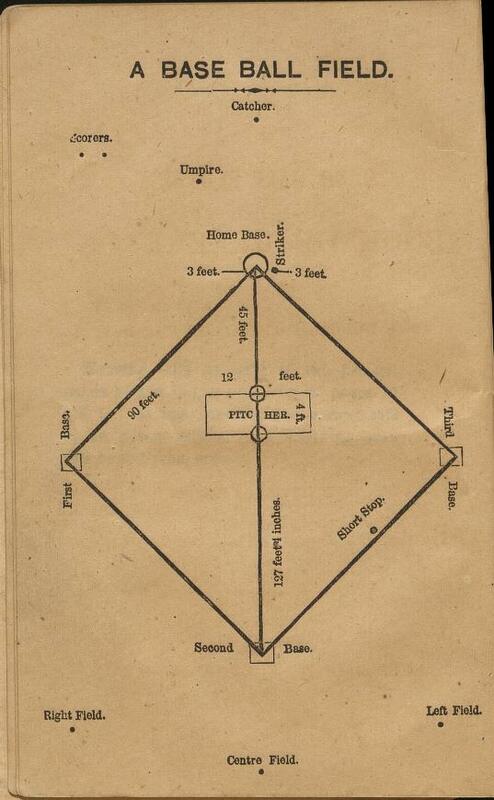 The Base ball player's book of reference. : Containing the rules of the game for 1866 ; with an explanatory appendix ; full instructions for umpires ; instructions on scoring ; the three best averages of each club for 1865 ; etc. New York ; : Published by J.C. Haney & Co., no. 100 Nassau Street., 1866. Chadwick, Henry, 1824-1908, “ The Base ball player's book of reference. 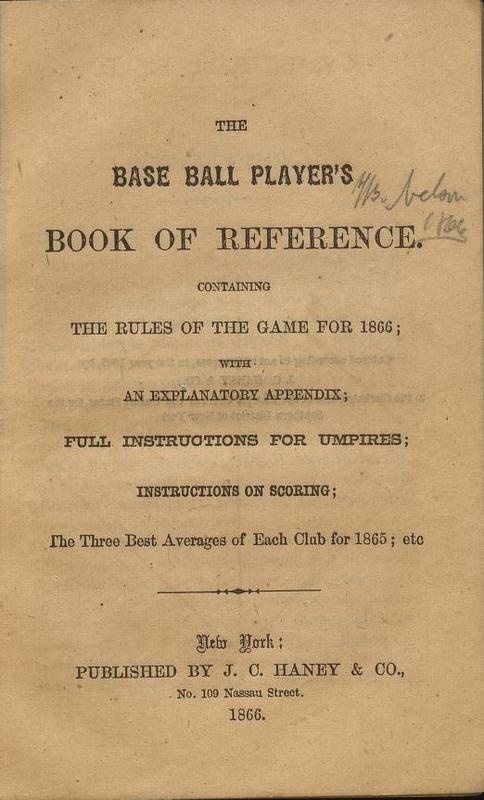 : Containing the rules of the game for 1866 ; with an explanatory appendix ; full instructions for umpires ; instructions on scoring ; the three best averages of each club for 1865 ; etc.,” Lehigh University Omeka, accessed April 25, 2019, https://omeka.lehigh.edu/items/show/3544.